In the past I’ve blogged about being a photo friendly guest and also about guest photographers but I felt that this needed to be expanded upon a bit more… and of course I have some images to show to support why I think it’s best when the guests put their cameras down. Last year one of my friends got married and I was so thrilled to be her photographer that day. What was even more amazing was that she had an “Unplugged Wedding” after seeing pictures and reading my rants over the years about well-meaning guests whom have inadvertently (or heck, even completely on purpose) ruined images. 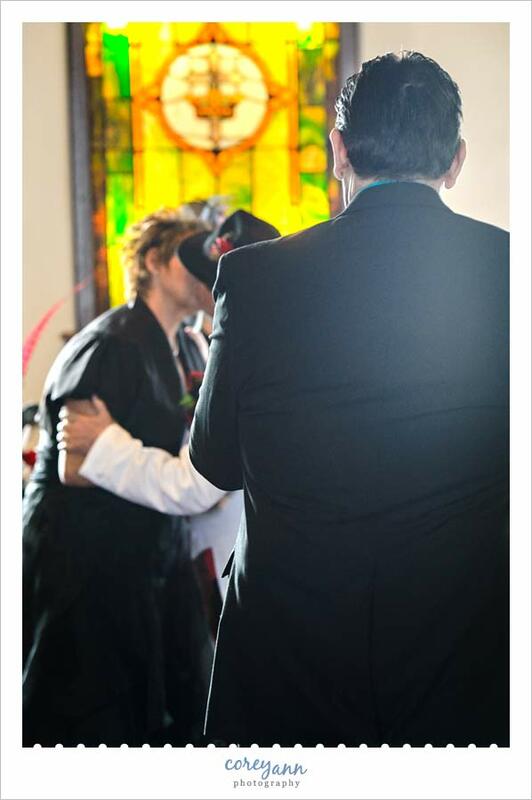 Prior to the ceremony, the officiant read this, “Welcome, friends and family! Good evening everyone. Please be seated. Dan and Jennifer invite you to be truly present at this special time. 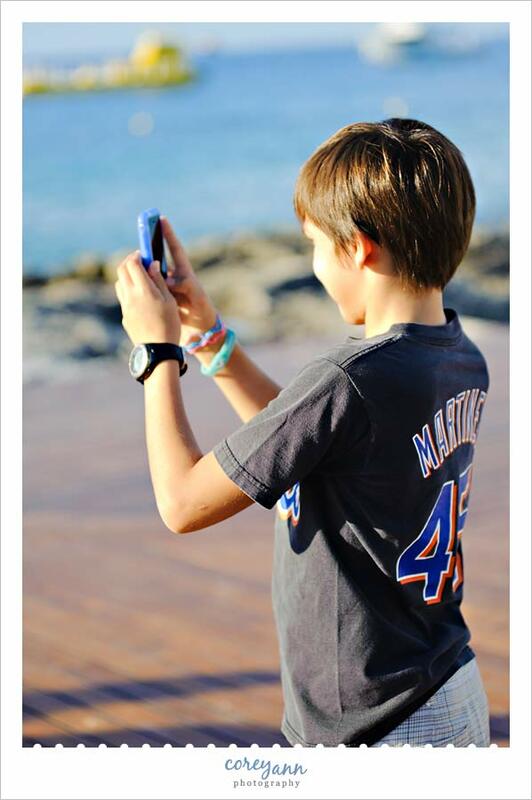 Please, turn off your cell phones and put down your cameras. The photographer will capture how this moment looks — I encourage you all to capture how it feels with your hearts, without the distraction of technology. If Dan can do it, then so can you.” I can’t tell you how many happy leaps of joy my heart did when reading this!!! The guests all obeyed and even after the ceremony many decided to keep their arms down and their hearts open and enjoyed the day instead of being an observer from behind their cameras. Recently “Guest Photographers” came up in one of the photography groups I am apart of online and someone asked what the big deal is, why wouldn’t we want more people capturing images for our clients? I thought this was a great question! I don’t have a single problem with guests taking images and sharing them later on with the couple. It makes me happy to know there will be other pictures and photos of moments I may have missed or alternate angles that I couldn’t cover. I also completely understand that some have a love for capturing images and enjoy taking pictures at weddings they are guests at. However, my heart literally breaks when a guest ruins an otherwise lovely image or jumps in front of me when I’m capturing a key moment from the day. It completely slays me when this happens because while I am not remotely egotistical at all, I am fairly confident that my image would have been better than the one they captured. 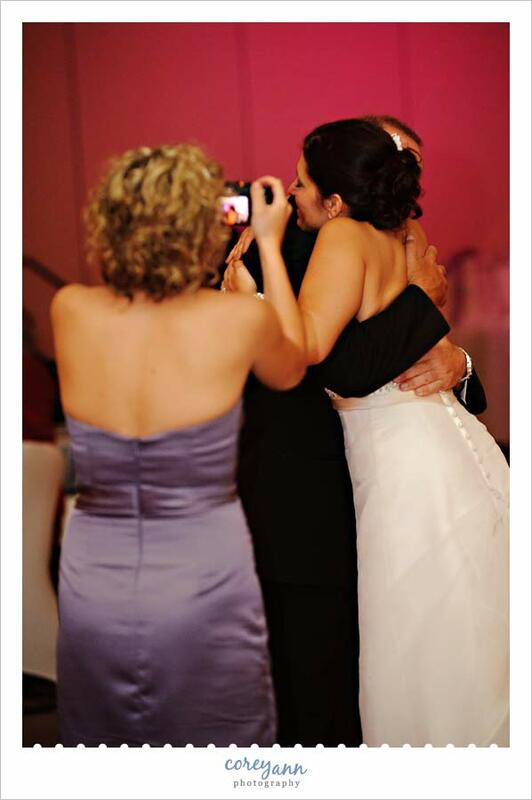 In the past 6 years of being a professional wedding photographer, it’s also been sad to watch the progression from seeing smiling, encouraging and happy faces as the bride is escorted up the aisle to faces hidden behind the backs of cameras and cell phones that line the aisle. These are all reasons why I am elated when I hear of couples opting for an Unplugged Wedding – or at the very least an Unplugged Ceremony. I also want to add this: if you are a guest at the wedding, please make sure to withhold posting pictures of the Bride & Groom online until AFTER the ceremony. I can’t tell you how many “first looks” have inadvertently happened online before the wedding because a bridesmaid or groomsman have uploaded pictures to social media before the wedding and a Bride and/or Groom who were killing time by browsing Facebook saw their future intended before the ceremony. Don’t do it!!!!! 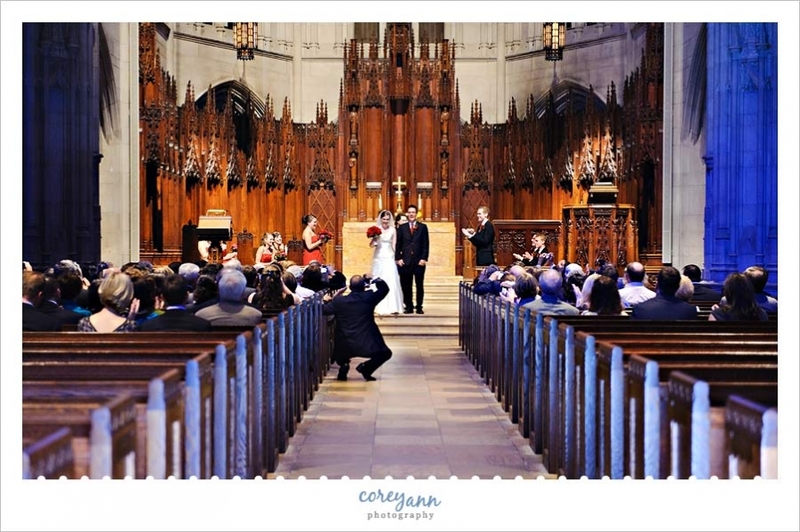 Also make sure with the couple that it is OK to share the images on social media, sometimes people prefer to keep things quiet due to varying factors and you don’t want to cause undue stress. One thing there is absolutely NOTHING I can do to combat is a flash from a guest photographer’s camera. There is rarely anything that will save the image and no repositioning will change the outcome. 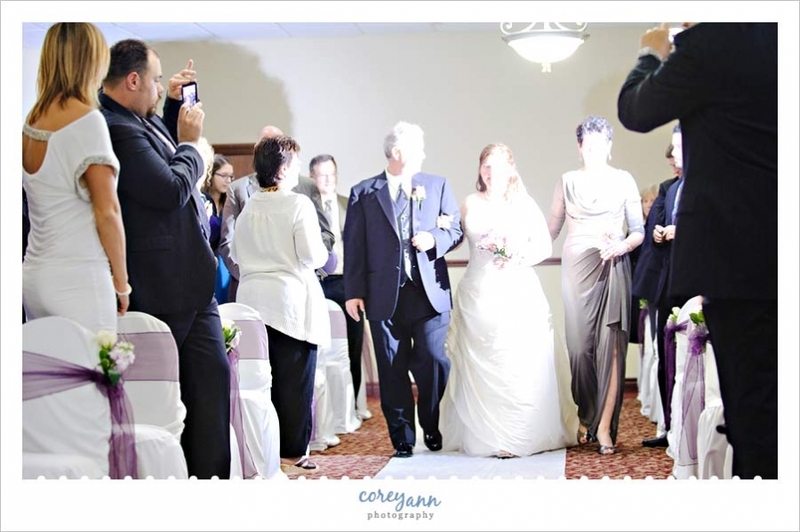 These are just two of the hundreds of images of the wedding processional that I’ve had ruined from a camera flash. 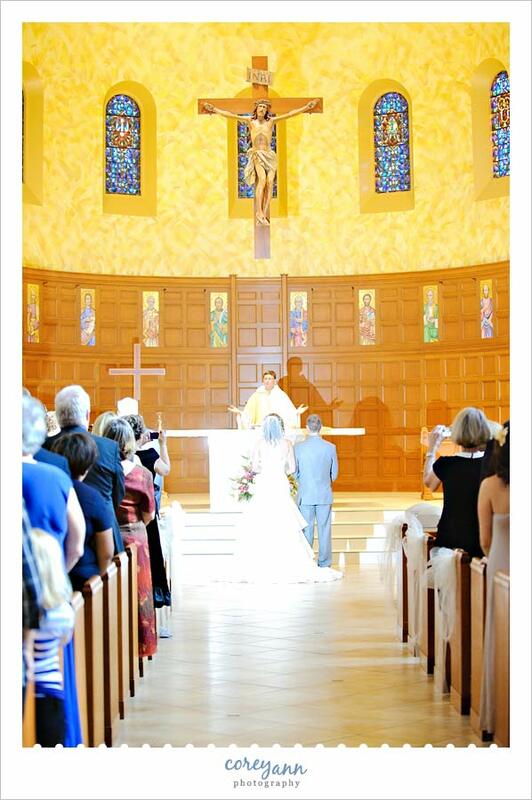 I also rarely, if ever, use flash for the ceremony so the light you see here is ALL from the one camera’s flash. This girl’s father literally shoved me aside and gave me grief because I was blocking his daughter from standing in the aisle to get an image. This sanctuary only had one aisle and very little room to move due to a small space being full with guests. I took this image to protect myself later in case the clients were upset that I had to stand slightly off center for a portion of their day. Also? The Nintendo DS made the LOUDEST noises when it took pictures. It was crazy. 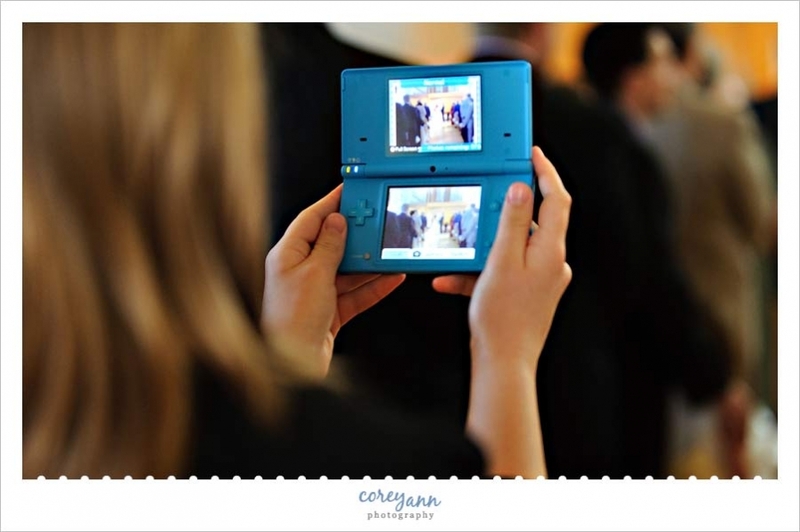 Since this image was taken 4 years ago the DS’s have been replaced with iPad, which are a million times worse when it comes to eyesores. This kid’s Dad yelled at my second shooter during a wedding and shoved his kid up in front to make sure he got an image with his iPhone during a destination wedding in Cozumel. Note, he wasn’t a guest of the wedding, just a guest of the resort. This whole situation literally broke my heart. In many churches, photographers are HEAVILY restricted as to where they can go for images and the Heinz Chapel is perhaps one of the strictest I’ve ever worked at. We are only allowed to be outside of the sanctuary in the door opening where the center aisle is and in the balcony. We are not permitted to move during the service. My second shooter thankfully was in the balcony but it didn’t make these guests go away but luckily he was able to get images of the service where you could SEE the bride and groom. 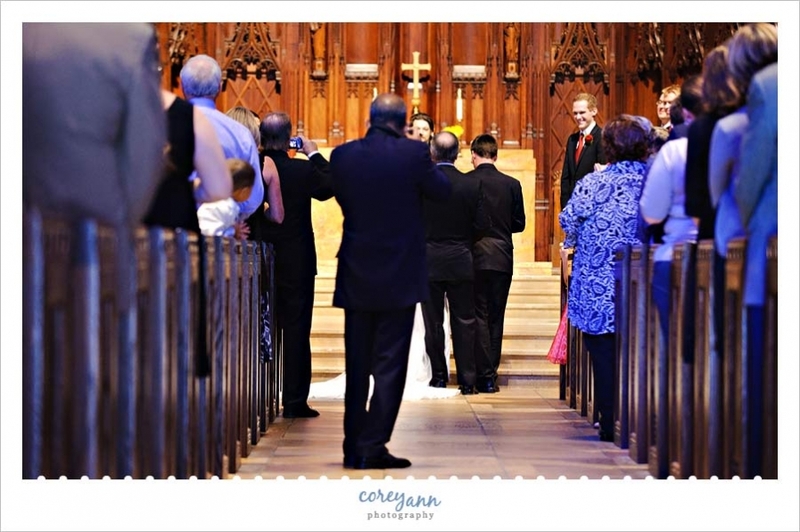 I argued, begged and pleaded for the church lady guarding me to at least allow me to go into the side aisle so I could get a clear shot of my clients when these guests jumped into the aisle but I was not allowed. Instead I just had to take what I could get and cry a bit on the inside. 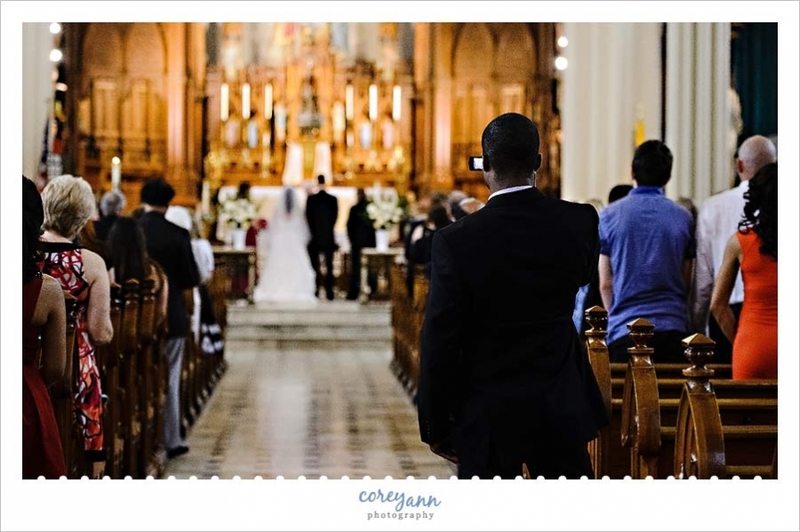 Another image of a guest who jumped in front of me during a ceremony where I could not move to get around him. 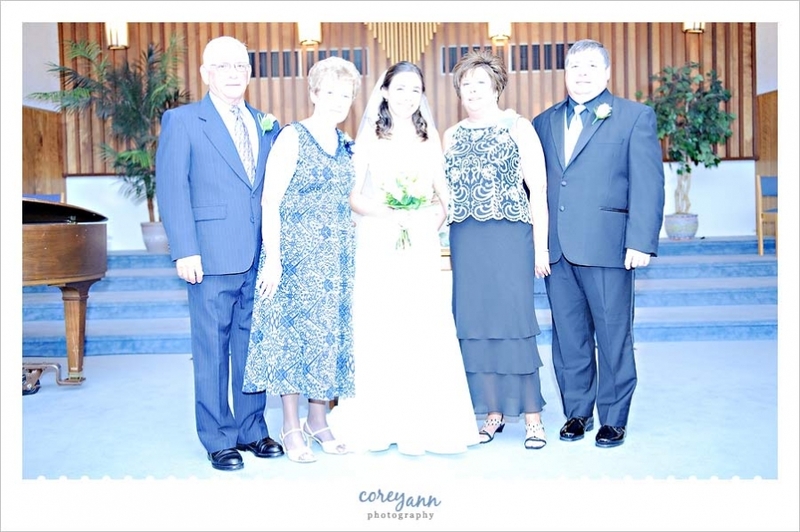 The flashes don’t quit for the service either and with the white dress there isn’t a lot I can do to save these images. This almost made me cry. Not kidding. 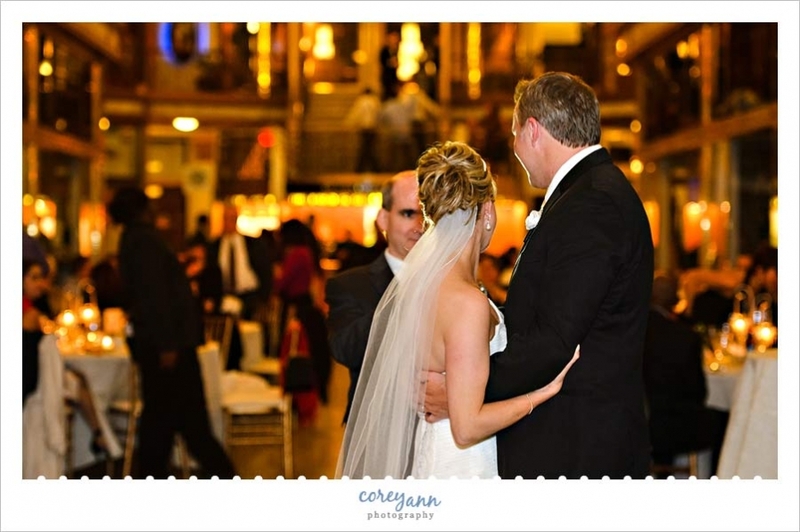 I also felt doubly awful because I had to jump in front of guests view of the couple and during a ceremony my goal is to never block a guests view. I apologized profusely after the wedding and thankfully they all were very sweet and understanding. 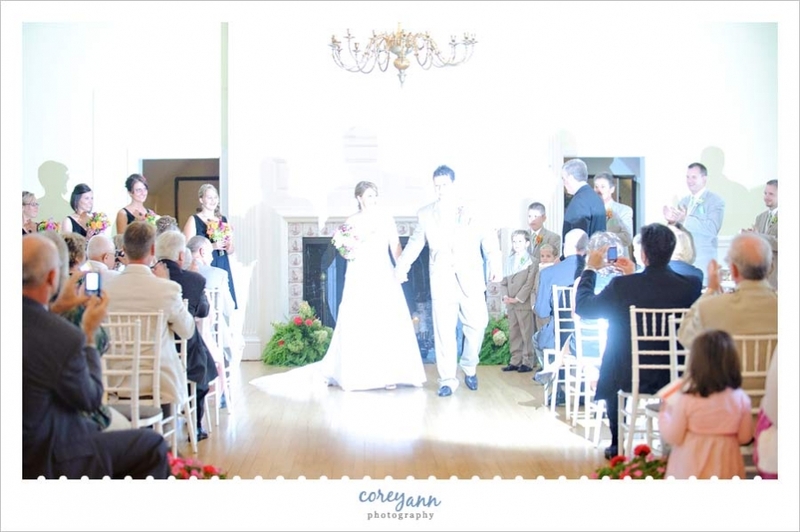 While this image wasn’t completely blown out, the shadows are bothersome from a guest’s flash. Back to the Heinz Chapel and as you can see, the guest did not move for the majority of the ceremony. I’m still sad when I look at this image. It doesn’t matter what kind of camera – how big or how small – the flash is almost always too bright to work with once it is fired. Standing in the aisle always makes me sad because your attention immediately will go to that person and not on the subject of the image. I really cringe when guests try to take pictures during formals because not only am I generally under a time crunch but the flashes ruin at least one or two shots for each batch I take. Eyes also tend to wander and rarely do I get everyone looking at me at the same time when there are multiple cameras present. This is the only time that I will sometimes tell guests that they have to stop taking pictures and I have been told off more times than not when I’ve had to do this. However my priority the day of the wedding is on my clients. I don’t care about the sale of the portraits but I do care about the quality of the portraits and if there is a circus going on behind me it rarely ends well for everyone involved. So, trust me when I beg and plead for you to tell people to put their cameras down and go enjoy the cocktail hour while we take some portraits with the special people in your life. The reception generally is a time when I can quickly move if a guest decides to take pictures but when I can’t move around it? The special dances. Although I have to say, this little old guy does warm my heart a bit. He was pretty cute with his disposable camera even if it was a bit distracting with the winding. 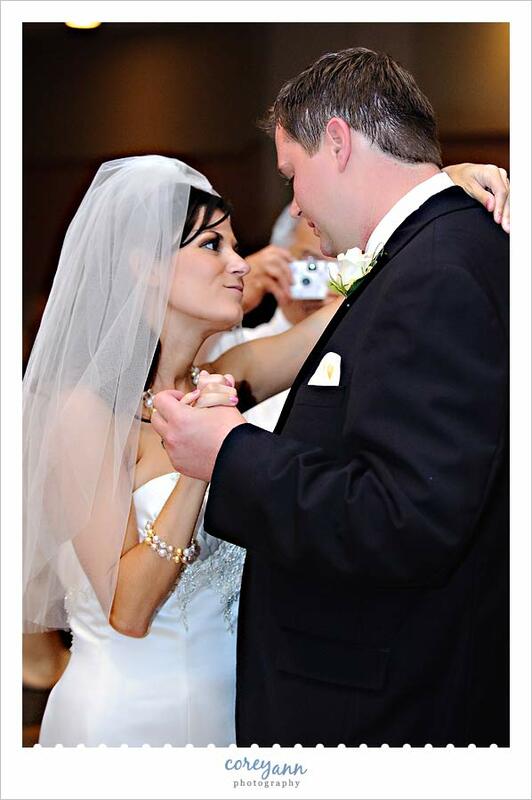 Another guest deciding the first dance is a great time for that portrait of the bride and groom. This is another one that makes me a sad panda when I look at it. This guest came up at the last bit of the Father/Daughter dance and there was no where I could go to get her out of the picture. 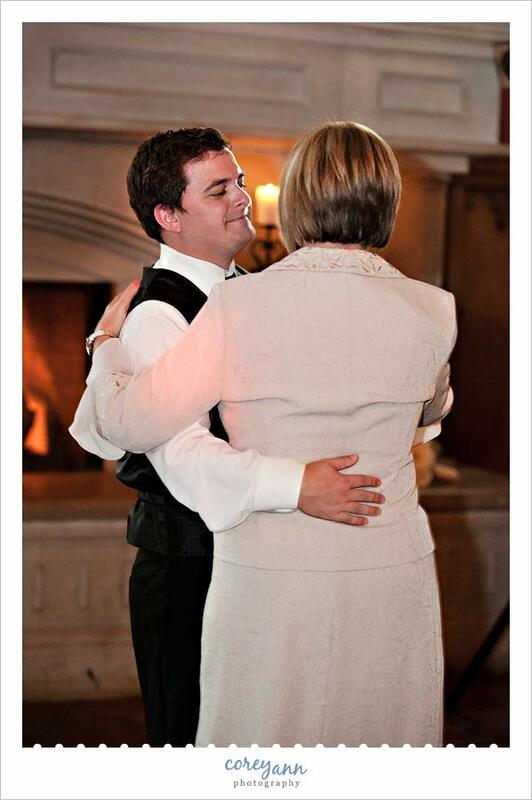 Luckily I have numerous beautiful images from the dance but the last hug is always my favorite. 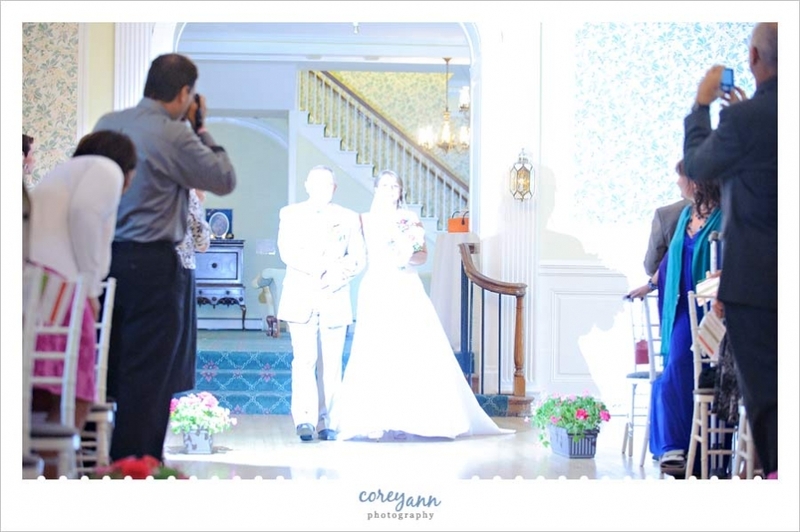 Another pet peeve of guest cameras during the wedding? THE RED (OR GREEN) DOT OF DOOM! These focusing beams are quite irritating because again, there’s not a lot that I can do to get rid of it outside of turning the image black and white (which still will leave a light circle). There’s quite a few images that I’ve had to toss due to these beams, this is just one of the many. Bottom line: my priority the day of the wedding is on my clients. They have paid me their hard-earned money to make sure I document their wedding and when an overzealous guest gets in the way, it makes me sad. 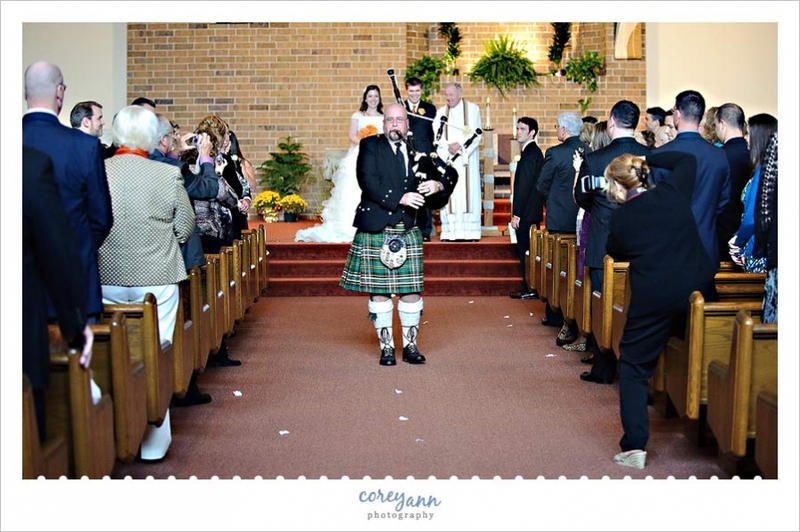 I think often people don’t realize what they are doing and my writing this post was in hoping to educate even a few people that will take this advice and either have an unplugged wedding or think of the professional before jumping in the aisle for that shot.